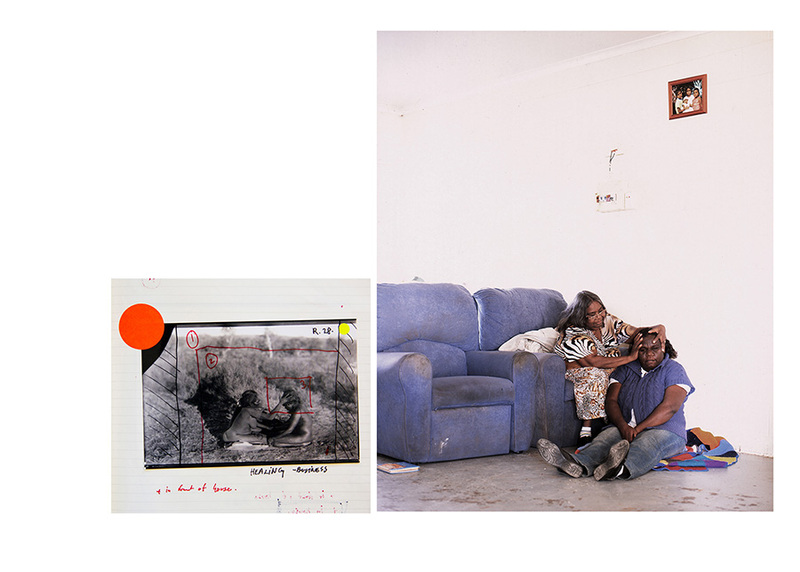 In May and June 2014, I was working in Central Australia, trying to creatively re-enact elements of the photographic work of anthropologists and photographers Frank Gillen and Baldwin Spencer, who produced one of the most influential records of aboriginal life over a period of 40 years between 1875 and 1912. Together with inhabitants of the central desert I re-enacted the old images creatively in the places where they were originally made. I wanted to invite those portrayed to bring their point of view and ideas into the process. My main ambition was to employ photography as a collaborative and improvisational practice for opening up dialogue and generate qualitative knowledge in the dynamic junction between the archive, the field, my interlocutors and I.